Happy Birthday Card to @ShannonLeto from @EchelonDonates and the Echelon! Thanks to the generosity of Echelon from all over the world, we raised over $1,000 for Doctors Without Borders in honor of Shannon Leto’s birthday! The card was presented to the man himself at the Church of Mars gig in Philly on May 13th. He said,“Yep I know of Doctors Without Borders. This is so nice, thank you.” He may be a man of few words but he was definitely appreciative as he took the time to read every name. 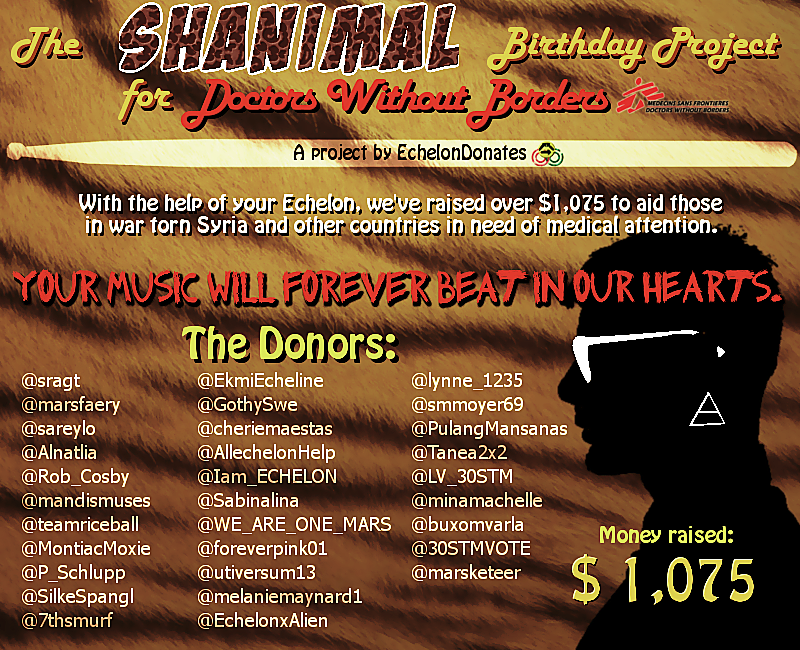 Thank you to everyone who participated and helped us show some love to our Shanimal! 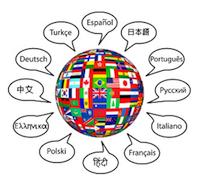 How can you be an Echelon and not think of @30STMVOTE? She’s been a strong voice leading the Echelon by calling them to arms to vote for the band, to have us call or tweet radio stations asking to play the latest Mars songs and of course how selflessly she dedicates her time to help others out. 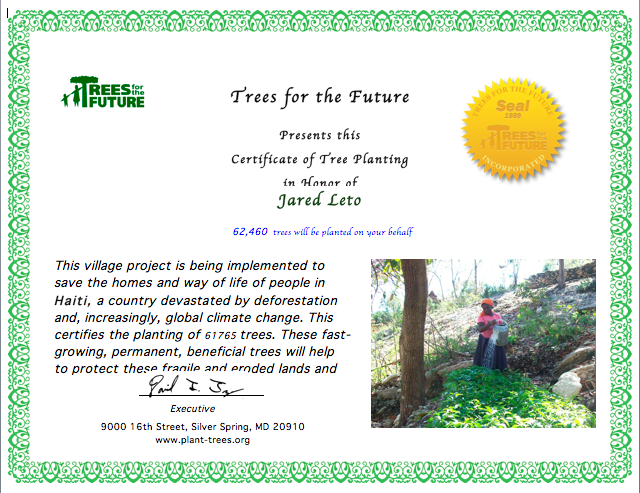 Look at what she’s done with Echelon Donates, starting the VyRT giveaways, Hands Up For Luca and giving away the 2 tickets she won from Jared for the LLF+D CD project she’s doing in partnership with @ACall2Arms. Now it’s time for the Echelon to say THANK YOU SOPHIE!!! We are asking the Echelon to donate $5 or what ever can be donated so she can fly, stay in a hotel and buy a ticket to see a 30 Seconds To Mars show. We already have about 10 people who’ve donated! 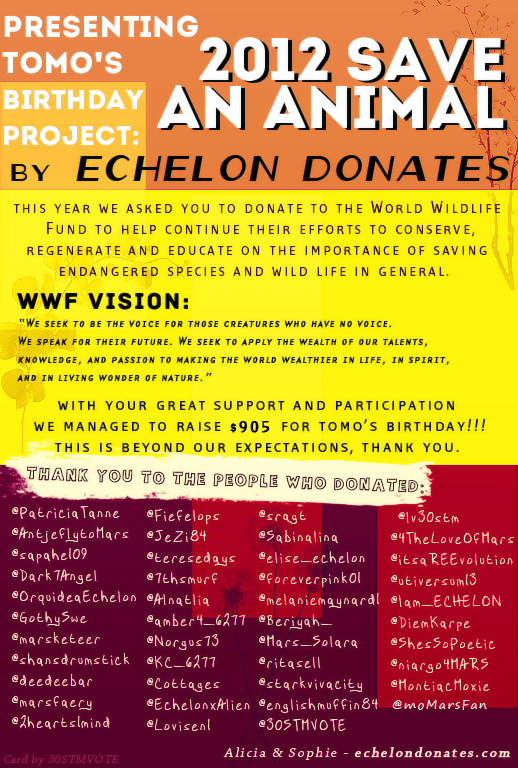 If you want to say thanks to Sophie for all her hard work then send us a donation for the Echelon Gives Back To @30STMVOTE Project! 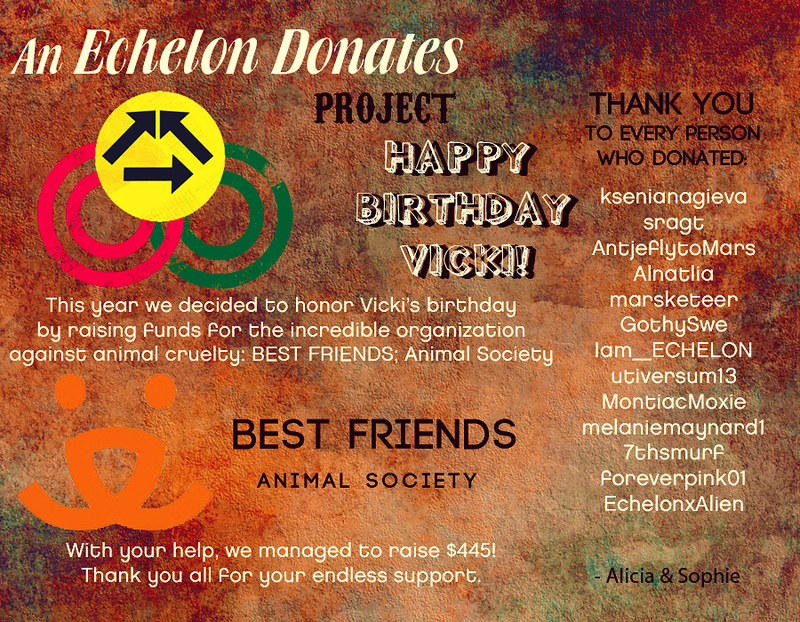 PayPal us at EchelonDonates@gmail.com. MAKE SURE TO SEND IT AS A GIFT SO THERE AREN’T BANK FEES DEBITED. In the notes section please include your twitter name to be added to the card sent to Sophie. We love you Sophie and there’s so many out there who love you too. Thank you to everyone who took part in this beautiful project!